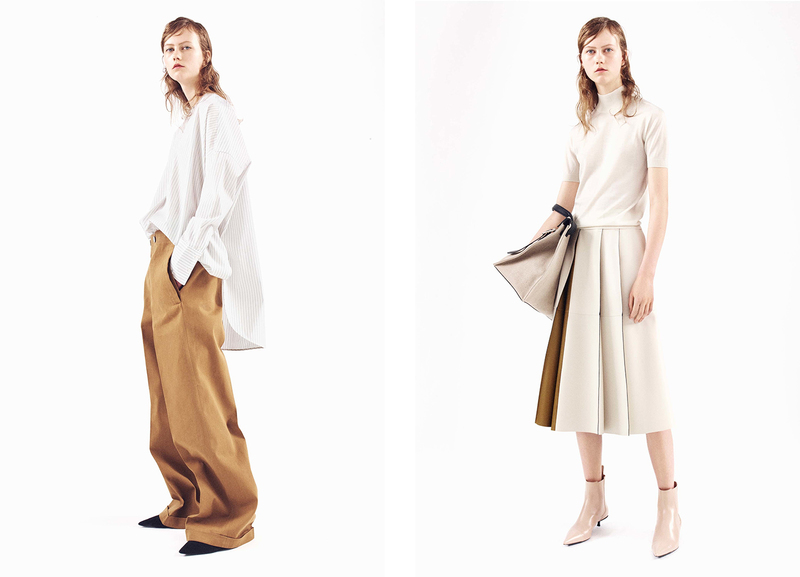 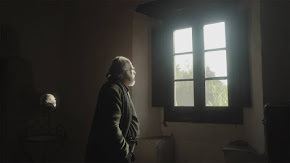 If you are looking for modern wardrobe essentials, that embrace minimalism, silent luxury, a contrast of rigour and softness, not to mention elegance and lately so evoked genderless approach, well then this collection delivered by Rodolfo Paglialunga it´s a clear match for you. 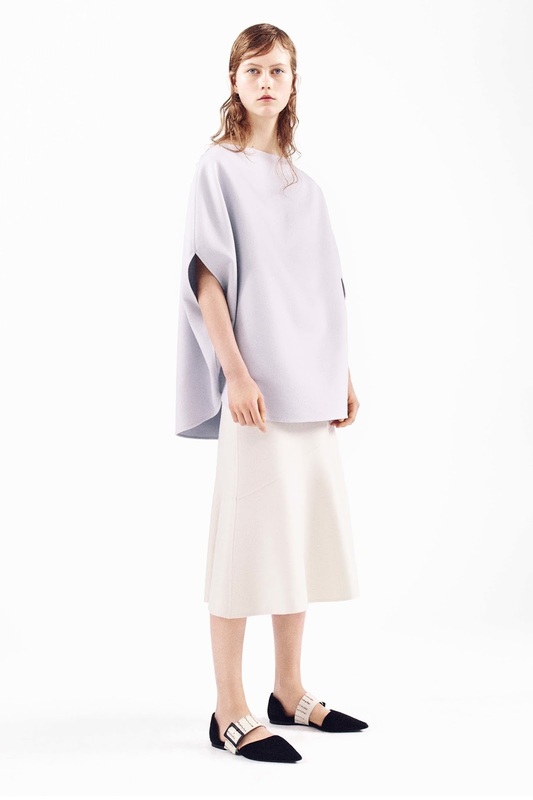 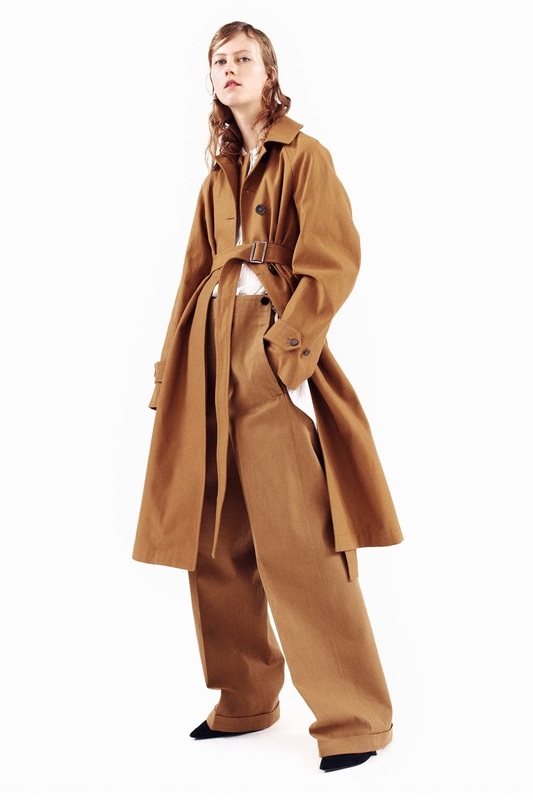 Crispy cotton poplin shirts are wide and have that enveloping effect, knitted sweaters have delicate bows at the sleeves, while leather pleated skirts have contrasting lacquered trim and velvet sheath dresses feature wrinkled shimmering-effect. 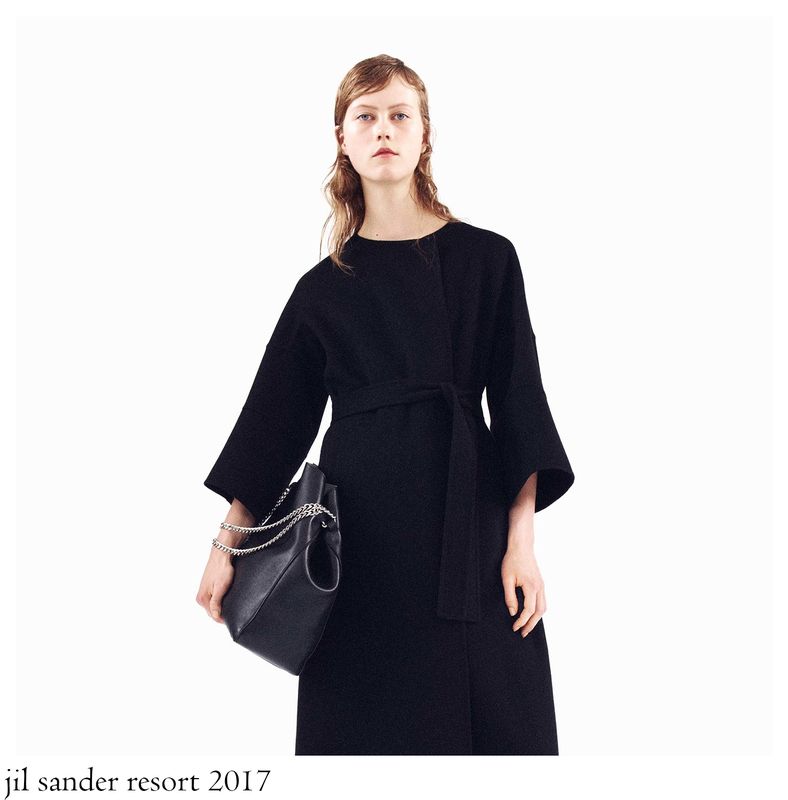 There´s no Jil Sander collection without the presence of timeless pieces, like double-faced cashmere coats, fluid suits, shirt dresses that are gathered at the waist and trench-coat, this time with a generous cut, as all cotton pants present.